My mom was a Pinterest mom long before Pinterest (or even the Internet) was around. She always made Valentine’s Day extra special with a craft or handmade gift. In first grade I had the COOLEST valentine card box for school (remember making those?) My mom helped me make a candy heart house with a slot for valentines (think gingerbread house but with conversation hearts). That thing would totally be all over Pinterest these days. Last February I was on maternity leave and in total nesting mode, so I made several DIY goodies. They’re no conversation heart gingerbread house, but still kind of fun and festive. 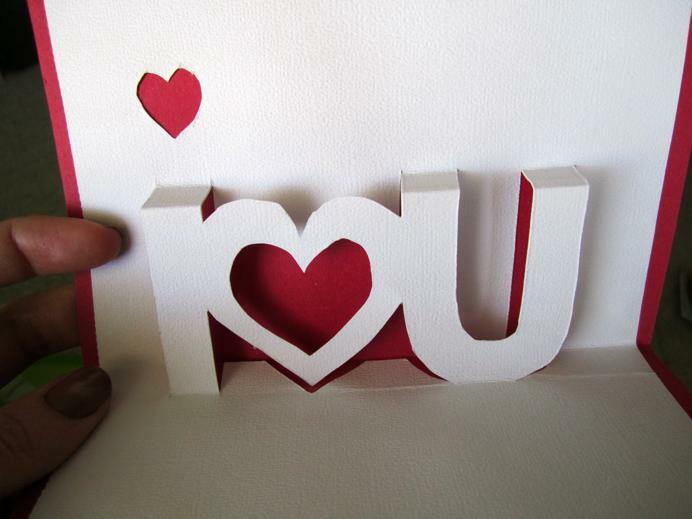 3-D “I love you” Valentine – tutorial here. 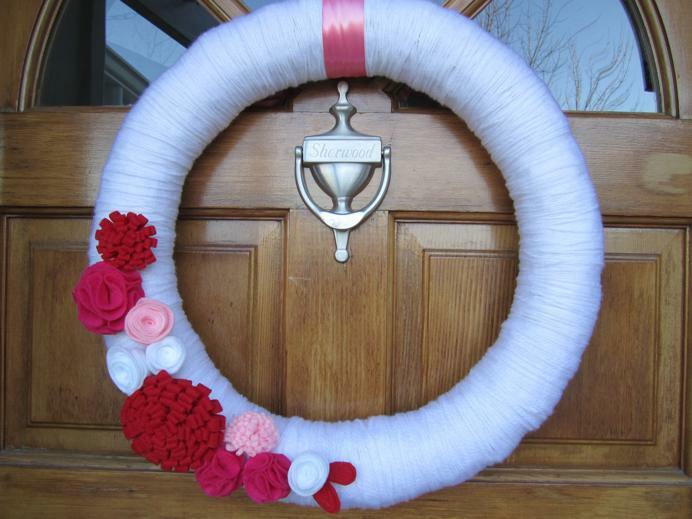 Valentine’s Day wreath (which easily converts for any season) – tutorial here. 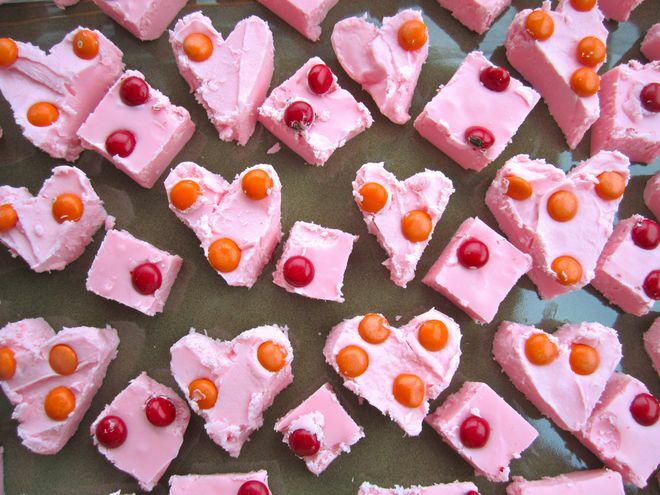 2-ingredient strawberry fudge. I made it last year but never wrote about it. It’s just a bag of white chocolate chips melted with a container of strawberry frosting stirred in (I made a batch with cherry frosting too and liked it even better). I topped mine with mini M&Ms. It’s sickeningly sweet, but strangely addictive. Recipe is from this blog post. I’ll keep you posted if I get ambitious and do anything cutesy for Valentine’s Day this year. Right now, though, I’m in Groundhog Day mode. Yup. We are having a little gathering Saturday to celebrate Peter’s favorite movie and the holiday behind it. Groundhog cookies, here I come.